There are few things more splendorous than waterfalls. Sure, some people might prefer sweeping panoramas from the summit of some high peak, and others might prefer being socked in by thick rhododendron tunnels, but surely everyone can appreciate a good waterfall. Thankfully, the Chattanooga area happens to be home to tons of them. Here are four of our favorites. Originating on Signal Mountain, Falling Water Falls is easily the most accessible waterfall in the area, with only a short ¼ mile walk out to the overlook. 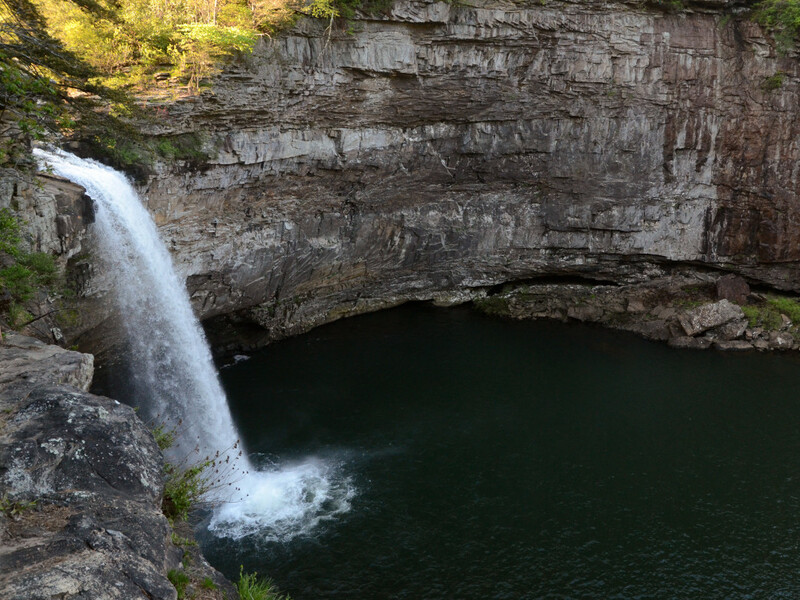 Located within a 136-acre, State of Tennessee Natural Area, this waterfall—named for Little Falling Water Creek that feeds it—drops 110 feet from this part of the Cumberland Plateau into Falling Water Gorge. Truth be told, the majesty of Falling Water Falls is seldom appreciated because nearly everyone who sees it does so from the sandstone cap it flows over. 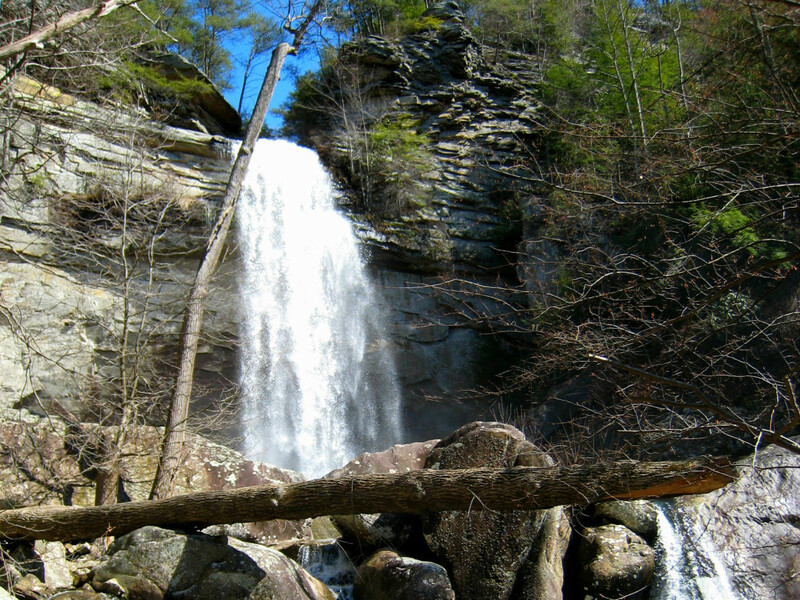 Even though the majority of the acreage lies below in Soddy Daisy, few venture to view the falls from there. Just a short drive to Dayton, Tennessee, the Laurel-Snow State Natural Area is a 2,259-acre swath of land home to a number of wonderful water features. This breathtaking “pocket wilderness” contains four fast-flowing creeks, with three of them flowing into Richland Creek . As with any large, forested area that you’re not familiar with, it’s best to consult—and carry—a map with you on your first visit, since the trail takes an almost-270-degree fork to the right to get to Laurel Falls. (The continuation, or left-hand fork, takes you to Snow Falls ). Miles apart, Falling Water Falls, and Laurel and Snow Falls, all originate atop Walden Ridge. The 8-mile out-and-back hike to take in the 80-foot cascade of Laurel Falls is well worth the “moderate to difficult” effort, especially following a few days of rain. The biggest plus of this trip is that you’ll hike to the base of the falls, providing you the chance to enjoy the entire width and height of this large waterfall. Plan on getting wet from the copious spray created by the volume of water splashing down from above. (Side Note: the entire Laurel-Snow Natural Area comes alive during the spring wildflower season). 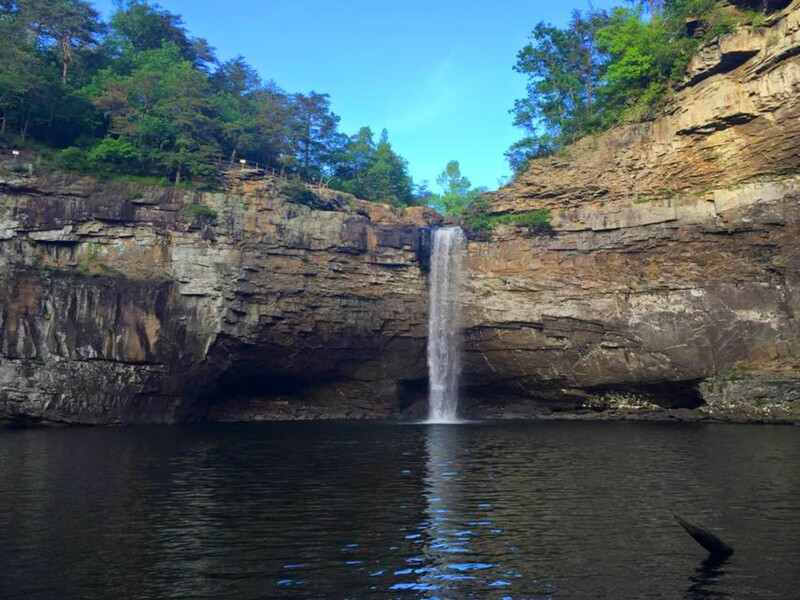 Located in atop Lookout Mountain in Cloudland Canyon State Park, Cherokee Falls is a breathtaking 60-foot fall that plunges into deep pool at the bottom. 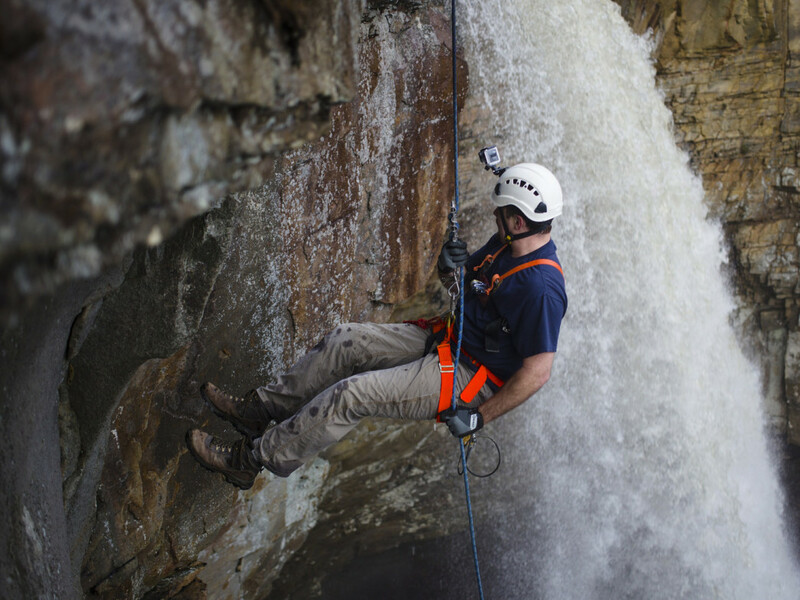 The grandeur of the gorge that dissects the 3,485-acre state park is a product of Sitton Gulch Creek—the source of the 60-foot Cherokee Falls. 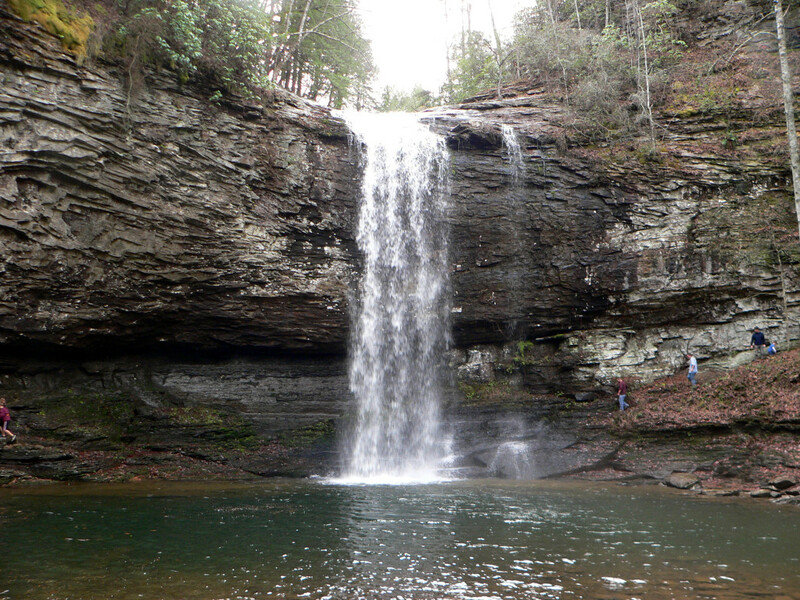 The best way to experience Cherokee Falls is by hiking the Waterfall Trail , which includes a side trip to nearby Hemlock Falls and is up there as one of the best hikes near Chattanooga. 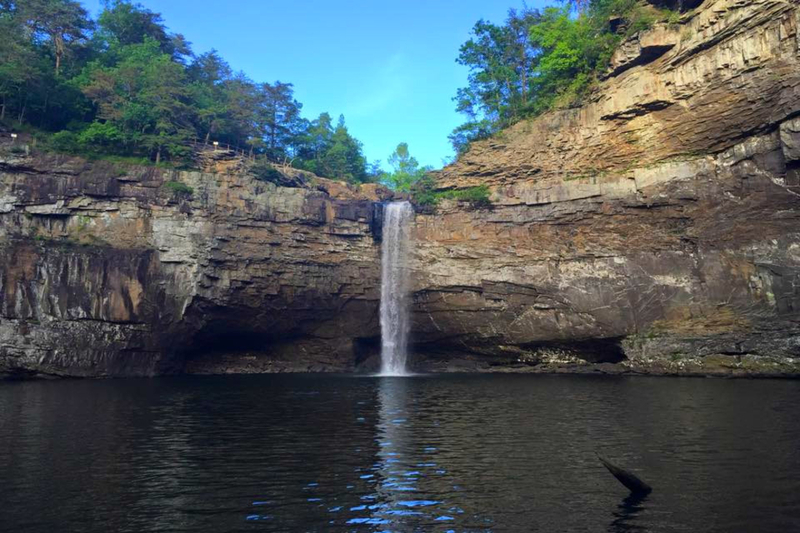 On the western brow of Lookout Mountain, DeSoto Falls is a 104-foot waterfall that carves out a pathway through the sandstone bowl surrounding it and then smacks the pool below with loud, erratic claps reminiscent of a giant natural shower. To get to the bottom of the falls requires some rugged scrambling down a steep trail, but reaching the beach below is a great reward, as you can skip rocks, snap photos, and even take a dip.